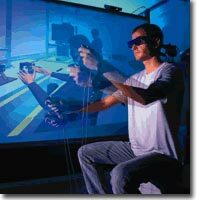 ACM Virtual Reality Software and Technology (VRST) is an annual conference devoted to the technical aspects of virtual reality. The first VRST was held in Singapore in 1994 and since then it has been held in Japan, Hong Kong, Switzerland, Taiwan, England, Korea, Canada and the US. This will be the thirteenth VRST annual conference to be held in Limassol, Cyprus. The conference will take place in Cyprus 1st-3rd of November 2006 at the Amathus beach hotel in Limassol, Cyprus. 18.40 Arrival at Omodhos village. Deadline for special session papers is the 19th of June 2006. Papers must be submitted directly to the session chairs. Cyprus is a small island, located in the eastern Mediterranean, between the continents of Europe, Asia, and Africa. It covers an area of 2571 square miles and has a population of 736,000.
population to move to the south part of the island leaving 36% of the land occupied by Turkish forces. Although Cyprus was initially an agricultural country with almost 50% of the population working on the land, today only 20% is engaged in agriculture. The textile, tobacco and foodstuffs industry, and building and civil engineering, form a large part of the country�s economy. The major sector of the Cyprus industry is the services sector, with 40% of the working population occupied in this industry. Tourism and banking are two of the leading areas.